Photo 1 of 3: I was commissioned 21 November 1987 with the first group (12!) 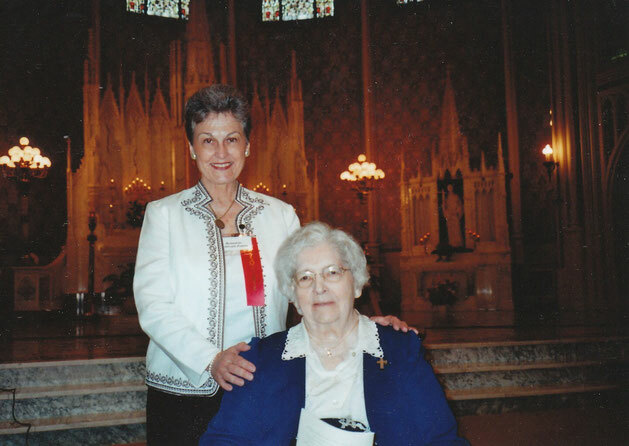 of Associates of the Sisters of Notre Dame de Namur at Trinity College, Washington, D.C. While there I had the once in a lifetime opportunity to enroll in a program called Education for Parish Service (E.P.S.). The purpose of this program was to enable Catholic laymen and women to contribute more effectively to the work of evangelization by providing opportunities for spiritual development, high level instruction in theology, scripture, church history and methodology. After this two year life-changing (on-going) odyssey, At the invitation of Sr. Joan Bland, SNDdN and Foundress of E.P.S, I stayed on a third year as Communications Coordinator. This course of study was operating on two continents and in various states 1978-2010. 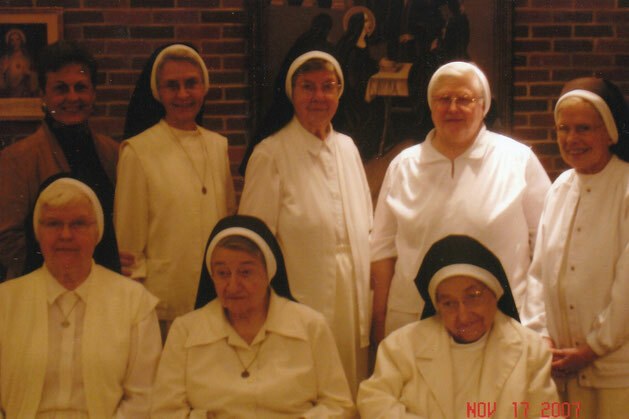 Photo 2 of 3: Commissioned as a Benedictine Oblate/Holy Angels Convent, AR November 17th, 2007. I am humbled to be invited to join the Olivetan Benedictine Sisters as an Oblate for they were my first religious teachers at St. Maria Goretti Elementary and High School in Lake Arthur, LA. Date: 12 December 2006, Feast of Our Lady of Guadalupe! Why: Completion of a Twelve Month Study of lessons ‘praying through’ ones novice year toward oblation as a Benedictine Oblate, Holy Angels Convent, Jonesboro, AR. This wonderful journey formally commenced October 21, 2006. What/Who: A Twelve Month Study Outline for Novice Year Oblates using the Benedictine Handbook, Liturgy of the Hours and directed by Srs. Mary John and Lisa, OSB. How: Read, study and pray with the pages designated for the month with a short set of questions and comments. Chronicle ones thoughts, answers and perhaps questions returning comments/reflections to Directors/Guides! 1) What is it that I am seeking in becoming an Oblate? Synergistic unceasing daily prayer with the Sisters of Holy Angels Convent and ongoing spiritual growth in the area of faithfully living the Rule of St. Benedict by study and action. 2) What are some of the things (qualities, values) that attract me to the Benedictine Way? I was raised in the ‘domestic church’ of my parents with Prayer, Study, Labor and Leisure! My mother was German, ordered and ran a tight ship and I couldn’t be more grateful! I love the way her way parallels Benedictine Spirituality which fits my daily life to a T…for 20 years now…when I discovered Monastic Spirituality! 3) One of the terms for the month is enclosure. Do I have a certain place or time that I can spend alone with God? How can our hearts become an enclosure? Yes, I rise at 4:00 am for the day’s readings with commentaries/Journaling in my study with Gregorian chant to companion my soul! At church kneeling in front of the tabernacle, I pray the Divine Office at 6:00 am; Mass at 6:30 am. The day is punctuated with monastic spirituality books, 2 at a time and Journaling, asking for guidance all the day long! Hearts are for loving as love emanates from the Sacred Heart! 4) Why is the “Work of God” (Liturgy of the Hours) considered so important in the Benedictine way of life? It is a call to lift our hearts and mind to Him who is calling us throughout the day …forming us. Our formation, in respect for His Divine Presence, depends on our immediate response as it is our ‘yes’ to transformation in His image and likeness, day after day. 1. St. Benedict says the Gospel should be our guide. What values does Benedict stress in the Prologue? St. Benedict stresses in the Prologue the values of obedience, humility, submission, perseverance and confidence in prayer and, listening/hearing/response. How are these reflected in the life of Jesus? He willingly accepted the Father’s will in His life and lived in that will with loving obedience giving Him glory and honor. 2.Why do you think Benedict called the stronger type those that follow the cenobitic life? How can you as a lay person embrace those same values and practice them? By faithfully living my Sacrament of Matrimony, studying the RB daily through Scripture and Holy Reading drawing closer to the heart of The Father…to know Him is to love Him is to serve Him…! Sr. Evangelista, third grade! What are some of the pitfalls of the other forms of monasticism? Anchorites: Relying on one’s own armor when so much is gained by wiser counsel for all the days. Sarabaites: The furnace is not an option so fickleness and ease reigns as their due is eked out on this side of the veil. Gyrovagues: Non-stable in mind, body, mind and soul and expect the spirit of others to move them forward to the next Inn. In serving their own wills, they knowingly take advantage of the stable who are vowed in hospitality to willingly give; they win! How do you think Oblates fall into the same abuses? I do not know enough Oblates to know with any degree of certainty of such ‘abuses.’ In that I am coming up along side you who live in community and serve in the greater vineyard, we would pray in concert that such malpractice of the human spirit would not occur in this Novice year Oblate, in all humility! Thank you Sister for your note and good readings! 3. Do the qualities of Christian leadership differ from say business or political leadership? There shouldn’t be a difference in the above but obviously there is in those ‘stories’ of business and political offenses that hit the evening news, newsstands and blogs! An Abbot/Abbess/Prior/Prioress leads by example and word having spent their lives in living out their committed call as religious then Shepherd/ess in humble obedience to prayer, study, labor and holy leisure. 4. Compare and contrast them. 5. Why is it important for those not in leadership roles to study this chapter? To be cognizant that those who shepherd them do so from their knees with their ear to the beating heart of The Father and in intercession with His Mother! 1. How does Lectio differ from other types of reading and study? O, so special…divine work for He calls us to Himself by: a. placing the desire in our hearts and mind to punctuate the day with the reading/study of scripture or individual books, 2. to internalize the message by journaling certain phrases, 3. which causes us to adjust our actions of the day to be in concert with The Fathers. This leaves us plenty of time for supplication and thanksgiving! 2. Have I set aside a special time or place for this practice? Yes, Sister! In my study at 5:00 am and throughout the day with my Breviary and 2 or 3 books. 3.With Sacred Scripture being given pride of place do I carefully choose other books to use? Indeed! Currently mostly Benedictine monastic spirituality books! Please go to www.leadkindlylight.net and click Read! Read! Read! Thank you Sister for your note and more good reading! 1) How do I practice the spirit of obedience in my life? Well, I was raised by a German mother and am married to a retired military officer so I, by nature and nurture, obey!!! The spirit of obedience is the daily emptying of ‘myself’ so that I may hear the Father’s voice, abide there in discernment and WITH spirit, follow where He leads. 2) Am I available for God to work God’s plan through me? Unceasingly! I pray for worthiness, humility and strength to follow Him, promptly, daily. I am silent basically all the day long; pray MP, DP and EP in silence in my study to Gregorian Chant; by His grace many days are filled with silence interiorly and exteriorly as I weave in and out of my ministries, reading, journaling and chores! I call this tending Ministries 1 and 11! a) What am I listening to? I trust Him to be ever-present even during the desert times. My life is His which I give to him daily and that of my husband and son…take us, lead us, abide in us, forgive us our trespasses, bless our desire to serve You even is we miss the mark, reveal Yourself to us in others, no matter the disguise and bring us Home to eternally abide in Your Light and love…tis enough for me. 1) What does St. Benedict say is the outcome of this humility? The good outcome is that we understand the concept of building a ladder and that to step downward in humility is the way to be lifted by The Father, lifting up His Holy Spirit to give us a hand!! O, The Father’s love is abundant and there is no fear! 2) How is God calling me to greater humility of heart in my own situation? The pure gift of the daily purports that the situational moments therein are to be offered to Him. My willingness to submit gives Him permission to use me as a pencil (“St. Bernadette said…!”) resting in the knowledge that He is aware there is an eraser!! 1) The Rule deals with the importance of prayer at established tines, changing with seasons and feasts. How is my day centered around prayer? Unceasingly! Watchfulness, wakefulness is my daily attempt to listen, hear The Father’s voice. It is like a sacred dance in slow motion! 2) Are the liturgical seasons and feast days an important part of my life? Verdad! I love the daily reading of the liturgical calendar following the tradition of color cloths for my home altar, days of particular reverence for a holy one and as I elder in place, Ordinary Time is being broken in to in order to uncover the extraordinary! 3) Chapter 21 deals with sharing authority and stewardship. Do I manage resources well? Indeed! My grandparents invented the word recycle and my parents ‘watered’ the concept of this exceptional plant called stewardship and the roots are deep!! Thank God for my husband who is the best and a generous provider which allows the time and space to create all good things as I listen for His voice. Stewardship of time, talent which the OSB sisters set the foundation for growth and treasure work in sinc by constant discerning and, together striving for balance! However, today as I rework the placement of books and binders in my study, Hectór said that I cannot outgrow my study; I must stay within the walls!!! 4) Am I free enough to allow others to help me? Absolutely! I am convinced The Father sets others right in front of you and that it is pure grace to recognize them as such and invite them in! 5) Have I learned how to delegate responsibility when I find myself in a leadership position? To a point! Once I have read,’ interviewed’ persons, pursued the history of, grasped the concept of the tenets of the organizational thrust, I must spend time tending the vision with others. Then slowly, when we are in tandem, relinquish more by handing more of the shared vision to each Team Support Member! I love this quote of Antoine de Saint-Exupéry which I have instilled in my son, Antoine!…”If you want to build a ship, don’t drum up the workers to gather wood, divide the work and give orders. Instead, teach them to yearn for the vast and endless sea.” I have added…to do both is sublime!! From: Bernadette Monlezun-Pontón, Thank you Sister! Chapter 33 deals with personal possessions. 1) Why was personal poverty considered important? Everything in the monastery was considered as consecrated to the Lord and one was to lean into the superior of the community for all that one would need, according to one’s need, forever and ever! The common denominator was commonality! 2) What are some ways we can practice detachment of heart in our lives? By the daily remembrance that all is of The Father and by His grace our portion is allotted/trusting always in His leading, kindly! By learning at the feet of your mother that one is not to measure what one does but to serve others by doing the best one can with a heart filled with joy and a sense of accomplishment at the end of the task. By not buying into the culture of acquisitioning but embracing a sense of enough and allowing satisfaction to be a hallmark of the day! 1) What rituals does your family have? My family consist of Héctor and myself therefore the ritual of food gathering, preparation and clean-up is simple indeed! He gathers the most used vittles weekly and I do the big hit every 6 weeks or so! He is THE cook in this family just like his mother before him and can make magic with a cast iron pot and wooden spoon! He insists I do the “incantation” as he calls our prayer before meals (!). We live very simply and in a constant state of gratefulness as military retirees with few needs and wants. 2) How can you make them an occasion of prayer? We do unceasingly by loving each other in and through our sacrament of matrimony never taking for granted this sacred covenant. We become the prayer we pray…Father, thy will be done! We offer every moment of every day by emptying ourselves and supplication in lifting up our son and all those we love and promise to pray for and this prayer includes you! 1) How do I, or could I, help others by my fidelity to a Christian way of life? By good example, right thought, good order merged with a consistent daily habit of prayer, study and labor ‘on the row’ of whatever ministry that I am involved at the time. Monastic spirituality reading is very helpful to me as well as Thomas Merton and Lives of the Saints! 2) Is there anything in my life that may be making it harder for someone to find Jesus? God I hope not and if I am a handicap to someone, may the same God open there mouth and speak a word so that restitution can be made!! 3) How can I apply the idea of making reparation, penance in my own life? By acknowledgement of my sin, being full of sorrow, confession, sincere Act of Contrition and will to do better…exceed better through He who abides in me ready to save if I but utter a plea! I must vow daily to live in a state of gratefulness for all of His blessings not to mention constant grace! 1) Is there someone in my life who calls me to greater accountability in prayer? In that my faith life is center and daily supplications are to The Father, I am accountable firstly to Him. I am vowed to my husband through the wonderful sacrament of matrimony therefore the next concentric circle…being accountable to…is my husband, Hector! 2) If I take part in the Liturgy at my parish, how can I keep the spirit of this chapter? I read that there is the spirit of helping others with humility and restraint but most of all by reverencing The Father who gave His only begotten Son…the holy sacrifice of the Mass. Awesome indeed! 1) Today fewer of us work with hour hands. What does the term manual labor mean to you? As a Facilitator of Silent Retreats teaching among other concepts the four pillars of monastic spirituality of which labor is #3 of 4, I include manual, intellectual and/or domestic labor! It is the daily ebb and flow of Prayer, Study, Labor and Re-creation that is offered to The Father as pure gift for his honor and glory. 2) How balanced is our life of prayer and work? Prayer and work in the daily is the exciting part of the day for one does not know therefore planning and order and desire is sought. By His grace, He blesses our desire for the loveliest of concepts, balance, and tips the scales where He may! We must just submit in humility and obedience and look forward to tomorrow! 3) Sunday is set aside as a special day for lectio. Do I take some “time off” for more intense periods of lectio? Do I see Sabbath time as important and precious? I love the word Sabbath as I love the day reverencing its origin and important in our lives! It is the day spent as we were raised attending Holy Mass, singing in the Family Choir or as a Lector, Eucharistic Minister or Cantor, lunch with family or friends and home for rest and holy reading. My husband calls his mother in Puerto Rico and our son calls from Raleigh, NC. If my Catholic television segment, ‘Lead, Kindly Light’ is aired (once a month), my husband who has never missed viewing in seventeen years of production (good, good man! ), always comments on the guest and their answering of my spiritual based questions. Discussion follows and through his insights I learn O so much! Lectio takes a state of mind for quiet reading, reflection and contemplation coupled with Journaling it all while listening to Gregorian Chant! This is striven for daily as it is almost like breath to me. While reading my Binder of ‘Ministries ll’ is opened which is my ongoing work in the vineyard! From the reading, notes are made… a game plan forms… of you will, and that is the Binder of Ministries ll that is worked on for that day or days. I always enjoy the insight, the work, the people who are raised up, the direction for agenda/to do list, the connecting to other ministries in progress and His grace to get it all down for his honor and glory. 1) Do I look at Lent as a time of genuine renewal? Why? Or How? I certainly try each and every Lent to begin anew with my heart and mind lined up in order to empty that which I have journaled about myself and know needs a good cleansing! I so love our Liturgical Seasons of Mother Church…always beginning again. We change or move and adjustments are needed to get right with the Lord! 2) Why do you think Benedict says we should ask permission first? He was cognizant of the quest for balance in all things. Understanding human nature like he did held in abeyance any “result of presumption and vainglory.” He wanted all for all the right reasons. Lastly, my mother knew all and everything about the operation of her home and management of her ten children! Superiors rule! And, that is a comfort of security in which to trust and rest! 1) Are there any areas in your life that are off limits to God? Goodness knows that to consider anything in my life off limits to The Father has never entered my mind. He abides in me; I invite Him each and everyday first thing in the morning to dwell within…unceasingly… just in case I formally forget to ask! He knows the invitation stands. I am humbled by just writing this, I am awed that I can even request He to abide in such a vessel as this one…clay, pure clay. But he knows what He is about and I submit. There is such joy in the Light even when it is hell. It is never so dark as to not be able to see or hear or feel Him. I trust He is there. 1) How does your reverence and respect for holy places help others to pray? The first holy place is their physical being as temples indeed. Wherever two or three are gathered is holy ground. The two physical homes I tend, our home with my husband and my home of origin are holy places; both hold a home altar where votives burn for those for whom I promise prayer. Good Benedictine example at Holy Mass, Adoration, just being in the world is a prayer and By His Grace others bend to Him and nod to His ascendance! 1) Benedict speaks of the warm welcome that is extended to all. How can you practice this hospitality? The incredible oblation made toward guests would personally be best extended by listening, truly listening, to others. Hospitality to me is availability via spirit and in that I am a person who totally enjoys aloneness, solitude, order and the rhythm of the day and season in order to hear the Father’s voice and those daily marching orders, hospitality is a true challenge. But remember, I am still very young and can change!!! 2) How do you balance welcoming others as well as protect time for God and family? Read above! It is the divine interruptions that is, the challenge and, yet God is in the details, the family and the welcoming! It’s the constancy that I attempt to assuage by ordering the day post-morning prayer by ordering the home and doing the ministry! Time management with a Christian perspective is the ebb and flow of approaching life from my praying center that must radiate the movement from prayer to study to labor be it manual, domestic or intellectual and re-creation! And when those moments, seconds of total awe and that feeling of being engulfed in His space and time…well, all else ceases to grind and all shines! 1) Make a comparison of how Esther de Waal’s study and application of the RULE is like or in what ways different from your own. Comparison = He (St. Benedict) just knows! I trust The Rule as a way of life under which I strive to attain daily order and balance in prayer, study, labor and recreation. 2) “Benedict shows me a life in which there is no separation between praying and living…” Is this true for you? How? Absolutely! Praying is breath to life lived in the fullness of His will, grace and compassion. Just to desire Him is to have Him all the time of each day which marches ever so swiftly to eternal life…and, that dear one, is the goal of life in prayer unceasingly! 3) Although Oblates do not make the same monastic vows as professed religious, how is your “Act of Contrition” similar for you? Um, I need a little more lead into this one!! 5) Chapters 58 to 63 emphasize the dilemma with which we continue to struggle. As dedicated disciples of Jesus, we are to be accepting, welcoming, supportive, etc. etc. Yet, we are too selective in those most closely associated with one’s own “family.” Do you call on the Holy Spirit to help you make the necessary distinctions? Amen I do! It is living at the speed of thought that must be harnessed constantly if one is to live/thrive in a discerning way. That is, to slip The Father between you and those whom you are to be with each and every day seeing all through His eyes, with His heart, in His time knowing…just knowing. Photo 3 of 3: Sunday May 3, 2009 commissioned as an Associate with the Congregation of Divine Providence, San Antonio, TX a journey of many years! 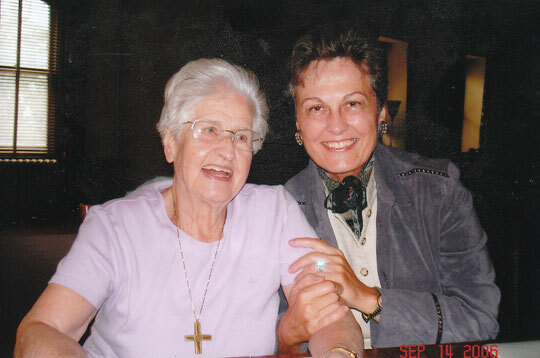 Sr. Marie Habetz (Sr. M. Gaudentia), CDP (R.I.P. 2012) whose eldest brother, Pirmin, married my eldest maternal aunt, Frances as all of these dear people are from Roberts Cove, LA my mother’s land of origin! Sister Marie and I go way-y back as she wrote to me in my earliest years 24 February 1961; I have the letters in a binder! I entered Moye High School, Castroville, TX as an Aspirant September 1963 at 15 years of age; I could not persevere and returned to my home in Lake Arthur, LA. I was frightfully homesick! I returned to The Lake 30 May 1965 (age 17) to fulfill requirements in Biology and French for the 8-week summer session so to enter my freshman year August 1965. My brother, Alvin Joseph age 10, and sister, Veronica Gertrude age 6, had drowned together on 27 May 1965 two days after my high school graduation; I could not persevere through the summer sessions at The Lake and entered McNeese State College in Lake Charles, LA. in the Fall of 1965. My fiancée had been in a car accident 1 November 1965 the day after we became engaged; he died 8 years later 31 December 1973; we were 26 years of age. January 2000 (age 52) my husband and I visited Moye, now Retreat Center, walking the grounds and visiting the chapel of old! I was to have surgery in Houston, TX in May 2000 and my mother was terminally ill with cancer succumbing 28 November 2000. Our only child graduated from high school May 2000 and entered college. 3 May 2009 at 62 years of age and formally sealed my gratitude and fond affiliation with these Sisters as a CDP Associate! O, the celebration in His Light, will and way! Lead, Kindly Light! Lead Divine Providence! It had been 48 years of association with the Congregation of Divine Providence. Returned to The Lake 10-12 October 2014 as ‘Facilitator of the Associate Fall Retreat’, age 66, 53 years since the day I walked into Moye! My weekend ‘theme’ was ‘Sanctification of the Ordinary!’ (It could have been ‘Never Give Up!’) I missed Sr. Marie Habetz’ presence but offered my sessions in her memory wrapped in gratefulness to Our Lady of the Lake through Divine Providence! I humbly serve as an Associate/Oblate right where I am writing, teaching fully engaged in apostolic action under the milieu of monastic spirituality. By living and teaching Prayer, Study, Labor and Service through my Silent Retreat venue of the Dailiness of Prayer, Ordering the Home and Time Management with a Christian Perspective I am, By His Grace, trying daily to be a humble and grateful contemplative in action in His will and way! This I have taught since 1983!